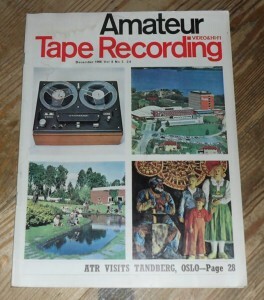 December 1966 of the British Magazine, Amateur Tape Recording. Each issue has a variety of features on video and sound recording, recording equipment reviews and interviews. The cover feature of this issue is a visit to the manufacturer, Tandberg.